Margaret “Judy” (Nardella) Leroux, 79, formerly of Paxton, passed away peacefully on Friday, November 30, 2018 under the loving care of her family and the dedicated staff at the Oasis at Dodge Park in Worcester. Judy was born and grew up in Worcester as the only child of the late Joseph and Mary M. (O’Connell) Nardella. She graduated from Commerce High School and then worked in the admitting department at Memorial Hospital while attending Clark University. 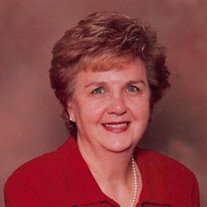 She worked closely with her husband at West Side Pharmacy handling both administration and merchandise purchasing for many years. Judy also pursued other career interests, obtaining her real estate license and co-operating West Side Gallery and Gifts with her husband Paul. Judy married Paul R. Leroux on September 5, 1959. Judy and Paul spent many years raising their family in Paxton before moving to West Boylston in 2002. She and Paul shared a passion for art, visiting countless museums throughout the United States, Canada, and Europe. She enjoyed acquiring art for their own collection, especially the works of Edna Hibel and Tony Bennett. Judy was a faithful parishioner and member of the Women’s Club of Our Lady of Good Counsel Church in West Boylston and a former parishioner of Saint Columba Church in Paxton. She was also a member of the Hillside Village Women’s Club in West Boylston. 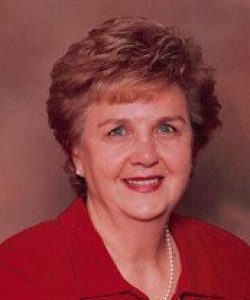 Judy greatly enjoyed reading, playing bridge, entertaining family and loved ones at her home, and traveling, especially to the beaches of Cape Cod and West Palm Beach. More than anything else, Judy was dedicated to her family and loved the time she spent with them, especially her five grandchildren who she adored. 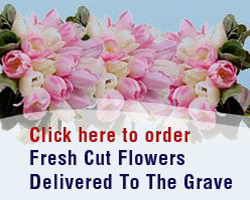 Judy was predeceased by her husband of 55 years, Paul, in 2015. She leaves her three children, Robert P. Leroux of Northampton, Lisa M. Swalec and her husband Michael of West Boylston, and Michael R. Leroux of Northampton; her grandchildren, Emily, Tyler, and Joseph Swalec and Nicole and Carolyn Leroux; three brothers-in-law, Raymond Leroux and his wife Elizabeth of Princeton, Charles Leroux and his wife Chung-Dee of Connecticut, and Roger Leroux and his wife Carol of Shrewsbury; her sister-in-law, Rita Thibeault and her husband Raymond of Shrewsbury and her sister-in-law, Janet Leroux of Worcester; as well as many nieces and nephews. She was predeceased by two brothers-in-law, George Leroux and Norman Leroux, as well as her sister-in-law Pauline Genereux and her husband Joseph. She also leaves behind her life-long friend Sandra CaraDonna. The family would like to express their appreciation to the compassionate staff at the Oasis at Dodge Park and the remarkable caregivers of Laura’s Guardian Angels, who so lovingly cared for Judy throughout the past four years. Relatives and friends are invited to visit with Judy’s family on Monday, December 3 from 5:00 to 7:00 p.m. at the Miles Funeral Home, 1158 Main Street, Holden. A Mass of Christian Burial will be celebrated on Tuesday, December 4 at 10:00 a.m. at Our Lady of Good Counsel Church, 111 Worcester Street, West Boylston. Burial will follow in Worcester County Memorial Park, Paxton. 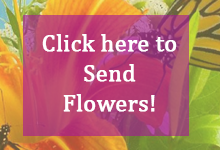 In lieu of flowers, memorial gifts may be sent to the Oasis at Dodge Park Employee Fund c/o Micha Shalev, 102 Randolph Road, Worcester, MA 01606 or the Alzheimer’s Association, 480 Pleasant Street, Watertown, MA 02472.